I've run out of my beloved Max Factor False Lash Effects Mascara this week. That has been my staple for the last 2 years and I have not strayed from it because it delivers me what I want in terms of volume and length . It curls and thickens my thin and relatively short lashes like no body's business and yep, honestly gives me the natural looking false lash effect (oxymoron I know, but I swear it's true!). Normally I would buy a refill, but with the mascara market evolving with better formulas and products over the past few years, I thought it would be time to give something new a try. claims to infinitely extend, reshape and mulitply lashes. Comes with a battery powered vibrating mascara wand so it will do all the wiggling around to coat every inch of your lashes. I found the vibrating wand hard to get use to initially, but the trick is to hold it at the base of the lash horizontally and quickly move vertically up to the tips of lashes, letting the vibrating do all the hard work for you. The formula is quite thick so it can easily create clumpy spidery lashes if you are not careful. Because of this, I could not really build up any substantial length with the wand which is a shame. Once dried, is smudge-proof which was great as I was rained on the other day and there was no panda-eyes afterwards for me and this isn't even the waterproof formula. The mascara doesn't flake and comes off easily when you are ready to remove it. The downside - the formula is quite slow-drying so if you look down blink too much while your lashes are still drying, there's bound to be a chance of a smudge that will need cleaning up. The small short silicone-bristled brush deposited way too much formula on my thin sparse lashes, creating spidery like lashes that required combing out to give them a nicer look, especially if you are not quick moving with the vibrating movements. This would be great for those who have longer lashes so there are more length for the formula to coat. This mascara is more for those with longer lashes looking for more fullness and definition and not really suited my my thin and short lashes. I'll be trying this out with a different wand as I do like the formula, I just don't think the wand is helping me much. I prefer Lacome's Hynose Drama mascara, which is more than a dream to use. Since I've decided to experiment with different mascara, do you any recommendations that I can try to create that 'false lash effect'? Rating: 6/10. 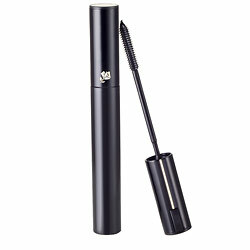 Nice enough formula but the small vibrating wand deposited too much formula on my thin sparse lashes. RRP A$65/US$34 in leading departments stores and counters. But they have a new mascara/formula now, I can't remember what it's called but its it gives you volume and length (in a purple tube), whereas the orange one just gave you volume. I'll be giving that one a try after I finish with the orange tube. Shame it didn't work for you. 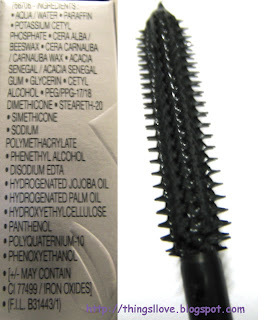 Try Majorlica Majorca mascara. It's amazing. Thanks Tina and FablesInFashion. I haven't tried Lash Blast yet but have heard good reviews about it so next time I swing by Coles, I'll try and pick one up :D.
Aw thanks Ling - I've just added you on Twitter. You rock too girl. I haven't checked out the lash growth serum stuff out yet cos I still think they are abit gimmicky. Will have to find out myself one day I suppose.